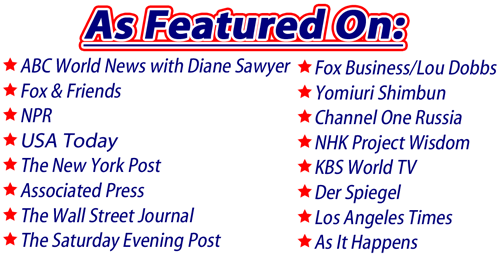 To Create and Save Jobs in the United States of America by Increasing American Manufacturing for Our Children's Future. 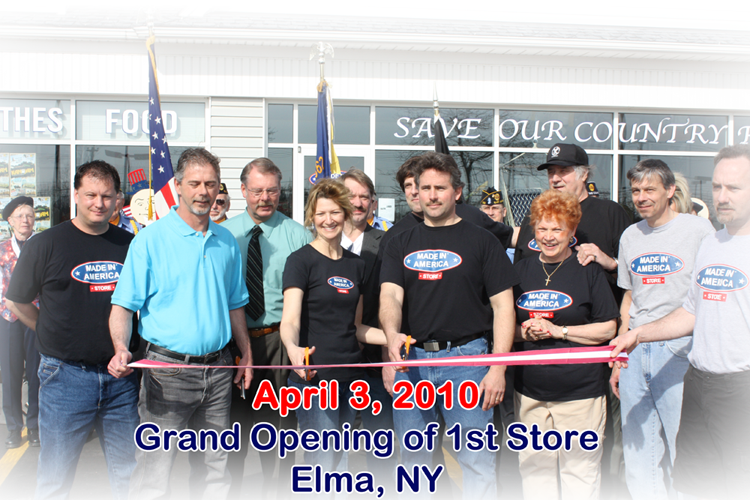 At the age of 19, Mark Andol – founder of the Made in America Store – opened his first business in his father’s garage in the Town of Elma, NY, about 20 minutes southeast of Buffalo. Mark’s Small Engine and Repair Service served as the business incubator for many of Mark’s ideas. An innovator, he launched “mobile service” on small engines, traveling to the homes and businesses of his customers. In 1989, at the age of 23, Mark rented a 5,000 sq.ft. shop in East Aurora and opened General Welding & Fabricating, which then supported 10 employees whose motto became “You Dream It, We Build or Repair It”. Thanks to strong demand for Mark’s honest, quality workmanship, he broke ground on a new 14,000 sq.ft. building in the Town of Elma. The company grew to 60 employees, employed across three additional locations and the original site. In 2007, Mark cut the ribbon on a 48,000 sq.ft. addition to the original Elma location. Little did he know that the very accounts that prompted the expansion would be lost to overseas competition, currency manipulation, and the Great Recession. Two multi-million dollar accounts dropped off in the same weekend, forcing Mark to lay off half of his workforce. One of his clients claimed that he could get similar products cheaper from Florida. But it was a lie. These poor quality parts were actually manufactured in China, shipped to a port in Florida and ended up in American warehouses in New York State and beyond. Mark Andol would not go down without a fight. On April 3, 2010, he opened the Made in America Store in the vacant showroom of a closed auto dealership. Focusing on a mission to save and create American jobs, especially in manufacturing, Mark adopted by a new motto, "For Country, For Soldier, For American Worker and For Our Children's Future". Mark turned one of the most painful experiences in life into a beacon of hope for America. The store remains the only brick & mortar general merchandise store in the U.S. to sell 100% American Made Products down to the packaging at its flagship location, and seven other locations in Western New York. An e-commerce site was also launched in 2010, a presence on Amazon began in 2012 and, together with the growth of the original store, necessitated the creation of a World Distribution Center based in Elma, NY. The Made in America Store also is a wholesale site accessible to any retailer across the U.S. that wishes to carry 100% American Made Products at competitive prices. Another milestone has been the store's ability to attract tour bus groups from as far as California, Minnesota, Oklahoma and Ecuador. In 2016, the store will surpass 500 buses hosted at its flagship location. We're happy to note that increasing demand for American Made Products, as well as the need to offer a hospitality experience customized for bus groups, has led to the store’s biggest achievement to date. 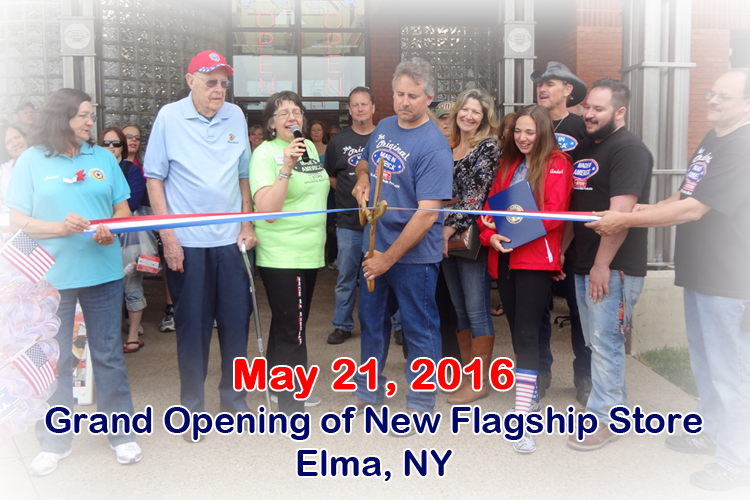 On May 21, 2016 – Armed Forces Day – Mark Andol cut the ribbon on a brand new flagship location right next door to the original site. The new store moved into a building featuring triple the square footage of the original location, with a one-level floor plan, group friendly amenities like ample restrooms and a hospitality area with café tables and chairs. The Made in America Store continues to honor our active duty members of the U.S. military, as well as our veterans, by offering a 10% discount on every purchase, every day. And, with every purchase our customers make, our country comes that much closer to a place where those who work with their hands are given the respect they deserve. Thanks To You, We Are Rebuilding The American Dream. God Bless America!